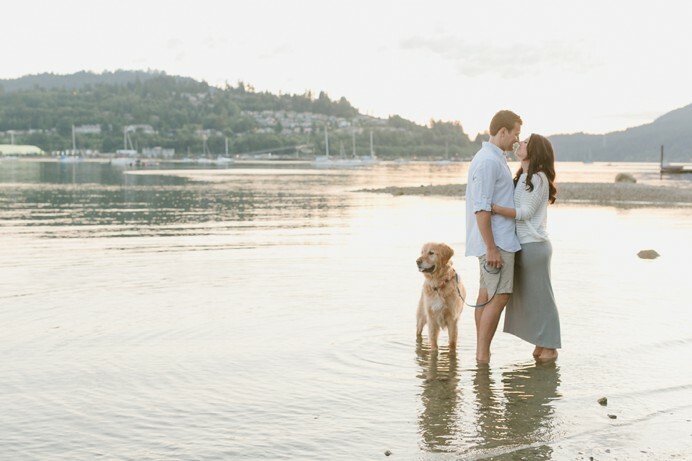 On an inlet beach, I photographed this Port Moody engagement photo session with Tawnya + Kevin on a warm evening in summer 2014. As summer evenings go, the light is warm and the sun sets behind Vancouver’s north shore mountains, providing a warm glow to waters. We spent some time at the beach as fishermen cast their hooks into the warm inlet waters. Local folks sitting on the beach, enjoying a little quite time away from the bustling city along the water. 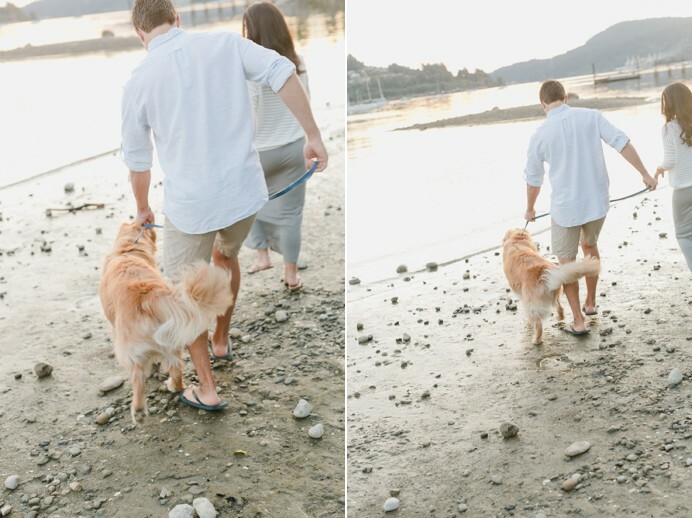 Tawnya + Kevin brought along their dog for some photos on the beach, and a little frolicking along the water’s edge as well. 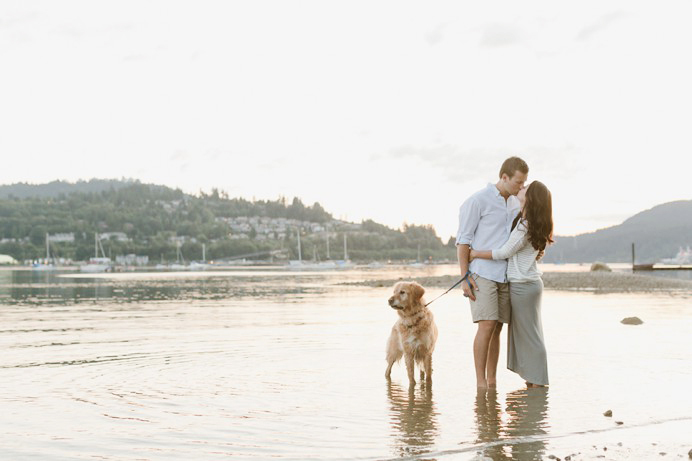 Below is one of my favourite photos of Tawnya + Kevin at their Port Moody engagement session at sunset. 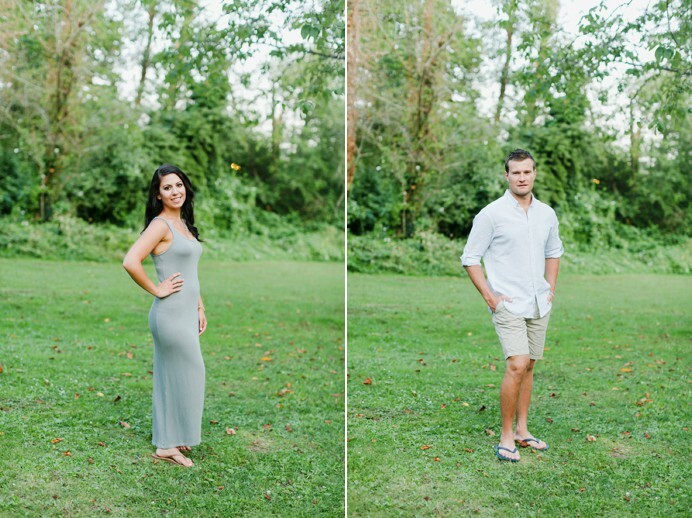 We’re really looking forward to seeing these two get married later this year.